What Types of Information Does Canadian Custom Apparel Collect? How and When Does Canadian Custom Apparel Collect This Information? Providing Information to Us. We collect Personal Information from you when you provide it to us. For example, if you purchase a product sold through an affiliate, we may collect your name, mailing address, telephone number, credit card number, and email address. If you create an account, we may collect your name, tax identification number, mailing address, email address, and other information that we request during the registration process, and any information that you provide to Canadian Custom Apparel. If you sign up to receive a newsletter, we will collect your email address. Communications With Us. If you communicate with us regarding the Website or the System, we will collect any information that you provide to us in any such communication. Analytic and Reporting Technologies. Like the operators of most websites, we use analytic and reporting technologies to record Non-Personal Information such as Internet domain and host names, Internet protocol (IP) addresses, browser software, operating system types, click stream patterns, and the dates and times that the Website and the System are accessed. We also contract with several online partners to help manage, monitor and optimise our Website and the System and to help us measure the effectiveness of our advertising, communications and how visitors use the Website. To do this, we may use web beacons and cookies. How Does Canadian Custom Apparel Use My Information? Personal Information. We use Personal Information primarily for our own internal purposes, such as providing, maintaining, evaluating, and improving the Website, fulfilling requests for information, producing and shipping the products that you order, and providing customer support. For example, if you create an Account, we will use the information that you provide us to communicate with you and pay you any commissions that you earn. 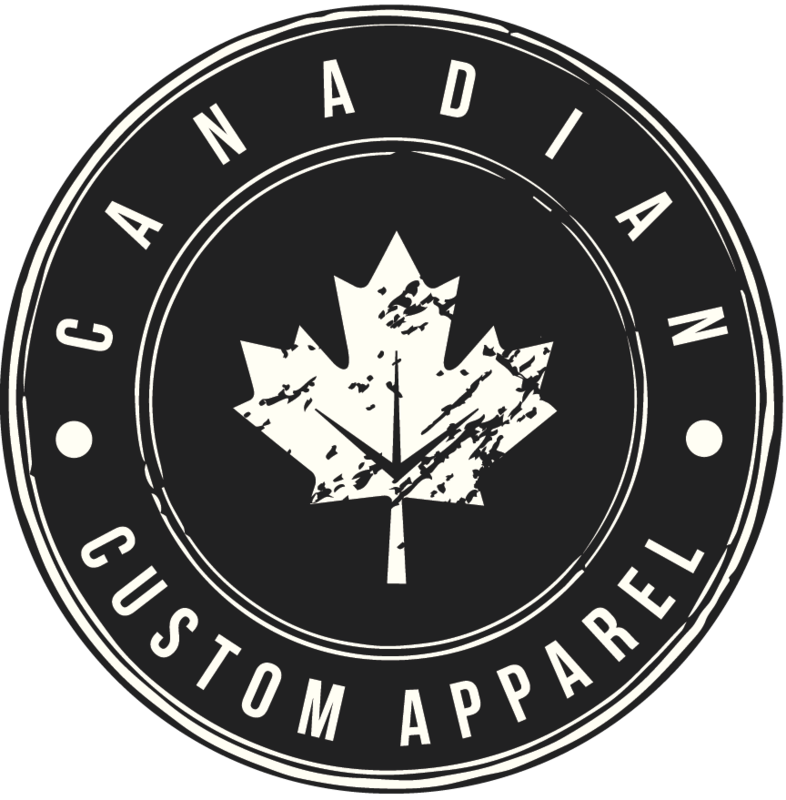 Similarly, if you sign up to receive a Canadian Custom Apparel newsletter, we will use the email address you provide to send you the newsletters. Non-Personal Information. We use Non-Personal Information to track the use of the Website and the System and for other internal purposes, such as providing, maintaining, evaluating, and improving the Website. When Will Canadian Custom Apparel Disclose My Information to Third Parties? Disclosure to Successors. We may disclose your Personal Information to any successor-in-interest of ours, such as a company that acquires us. In the event Canadian Custom Apparel goes through a business transition, such as a merger or acquisition by or with another company, or sale of all or a portion of our assets, your Personal Information will likely be among the assets transferred. You will be notified via email or by a notice on our Website of any such change in ownership or control of your Personal Information. Disclosure to Affiliates. If you purchase a product, Canadian Custom Apparel may provide your name, and the city and state information provided by you to an Affiliate. In our Affiliate Agreement, Canadian Custom Apparel contractually obligates each Affiliate not to use or disclose this information for any purposes other than internal record keeping, and for marketing, only if you have opted in to receive marketing material directly from the Affiliate. We cannot guarantee all Affiliates will comply with this obligation. Does Canadian Custom Apparel Protect My Personal Information? You can obtain a copy of and request that we correct errors in your Personal Information by emailing us at info@canadiancustomapparel.com. For your protection, you will be required to provide proof of your identity to obtain a copy of your Personal Information. If your Personal Information changes or if you no longer want to use the Canadian Custom Apparel Services, you may correct, update or deactivate your Personal Information and/or your account through the account management screen. If you would like to deactivate or terminate your account you can also contact our Customer Service. Under Thirteen. The Website and the System are intended for users aged 13 and older only. Accordingly, we will not knowingly collect or use any Personal Information from children that we know to be under the age of 13. In addition, we will delete any information in our database that we know originates from a child under the age of 13. Thirteen to Seventeen. Prospective users between the ages of 13 and 17 can only use the Website under their parent's or legal guardian's supervision. If you are between the ages of 13 and 17, you, your parent, or your legal guardian may request that we deactivate any of your Personal Information in our database and/or opt-out from receiving communications from us. If you wish to do so, please contact us at info@canadiancustomapparel.com. Can I Opt-Out From Receiving Communications From Canadian Custom Apparel?